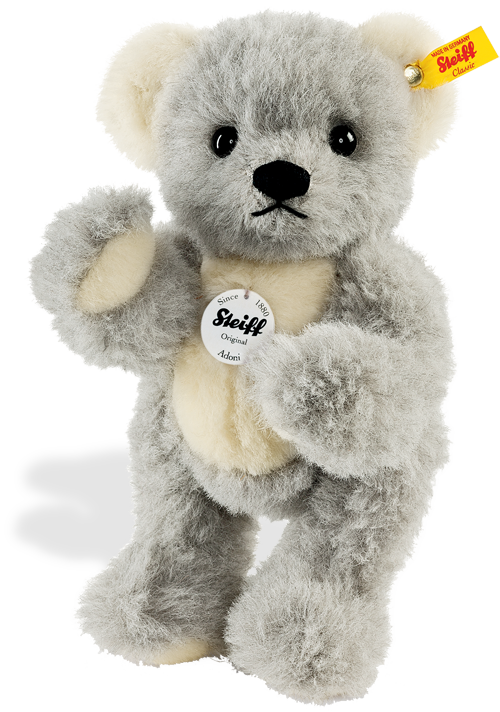 "Made from rich, dense alpaca"
Steiff bear called Adoni is made from high quality dense alpaca in a lovely mixture of grey and white and is fully jointed (means you can move his arms, legs and head). This teddy bear has large black shiny eyes, little ears and hand embroidered mouth and nose using contrasting black thread. A teddy bear full of character.